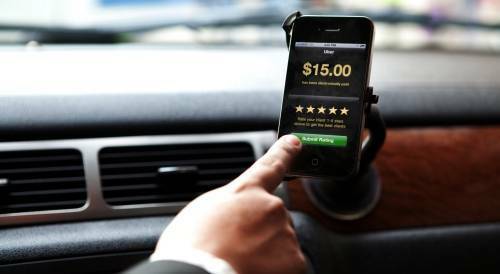 In a ruling from the Golden State, the California Labor Commission found that a San Francisco-based Uber driver should be classified as an employee of the rise-hailing company, rather than an independent contractor. The ruling could set a precedent during a time when ride-hailing services are becoming increasingly popular. The ruling, made in March and appealed by Uber yesterday, ordered the ride-hailing service to reimburse one of its former drivers over $4,000 in expenses and costs because, the Labor Commission ruled, Uber acted more like an employer than a “logistics company” that connects independent contractor drivers with people who need rides. For example, Uber sometimes provided phones to drivers, monitored their approval ratings, and terminated their account if they were inactive for too long or if their approval ratings fell. The ruling could have a significant impact in the future, as classifying Uber drivers as employees would open the company up to more expenses, including employee benefits like Social Security and workers’ compensation. In an effort to fight the decision – which currently only applies to one driver in California – Uber has appealed the ruling and is expected to fight until all options are exhausted. As a firm that handles auto accident cases and cases involving Social Security and workers’ compensation, we know that the ruling could mean big things for Uber drivers, customers, and others on the road. Should Uber become a company that treats its employees fairly, drivers would have access to benefits in their times of need. Additionally, it is likely Uber would devote more resources to ensuring its drivers and passengers are safe. If you have questions about SSD, workers’ comp, or auto accidents, our Las Vegas injury attorneys are available to review your case during a FREE consultation.